The results of the Qualifying Practices of WSK Super Master Series first round. 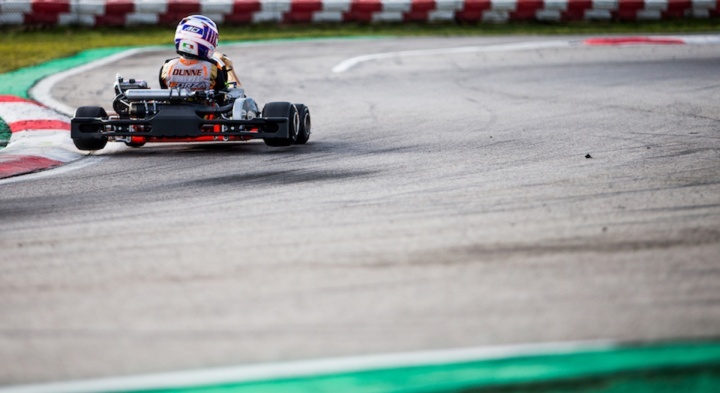 A rainy day featured Qualifying Practices and the first heats of the WSK Super Master Series staged at the Adria Karting Raceway.interesting results have emerged. 60 Mini - Pole position went to Baby Race driver Coskun Irfan (Parolin / TM), who will start from pole in Group A. The leaders of the other 5 groups (marked with letters B to F) are: Manuel Scognamiglio (Tony Kart / TM), Max Popov (Parolin / TM), Francesco Marenghi (Tony Kart / TM), Mark Dubnitski (Birel ART / TM) and Kirill Kutskov (Energy / TM). The first three heats saw the triumphs of the Tony Kart factory driver William Macintyre (Tony Kart / Vortex), Rashid Al Dhaheri (Parolin / TM) and Kutskov. OKJ - Paolo Ferrari (Righetti Ridolfi/TM) sets the pace in the second group, putting in the best time. He is followed by Nikita Bedrin (Tony Kart / Vortex), Tymoteusz Kucharczyk (Parolin / TM), Brando Badoer (Parolin / TM) and Robert De Haan (Energy / TM). These, therefore, are the leaders of the 5 groupings of the heats. The two disputed heats saw the victories of Kucharczyk and the Spanish Josep Marti Sobrepera (Tony Kart / Vortex). OK - Senior speaks the Swedish language of Ward Racing and Sebastian Ogaard (Tony Kart / Vortex), first ahead of Aleksey Sizov (Tony Kart / TM), Dexter Patterson (KR / Iame) and Kirill Small (Tony Kart / Vortex). The two heats went respectively to Dilano van T'Hoff and Smal. These are the results of the day on Friday. See you tomorrow with the remaining heats.